A student said she had ‘been dealing with an incredible amount of stress and some health issues,’ and asked if I ‘would be able to have any insight about potential problems from these pictures I made of where I’m getting the most pain on my hands and feet.’ Her pictures showed that she marked the big web on the right hand and the pancreas, adrenals and lumbar on both feet. Well, this likely shows current problems rather than potential problems. Those areas are famous with regards to stress. There is a great interaction among glands, organs, hormones, blood sugar levels, blood pressure, etc., and general health. The miraculous body knows how to coordinate all this, but there is a limit. Too much stress, inadequate or unbalanced diet and poor lifestyle choices take their toll; and the person feels it. When starting reflexology, some reflexes show up right away and are often related to more acute problems even if one also has chronic problems. One can get rundown, feel tired and achy whether having chronic problems or not. The reflexes that show up most obviously with tenderness or pain, are the ones that need immediate attention through reflexology. Reflexology speeds up the healing process by sending messages to those interacting parts of the body, relaxing the body, and thus releasing blockages for improved circulation. 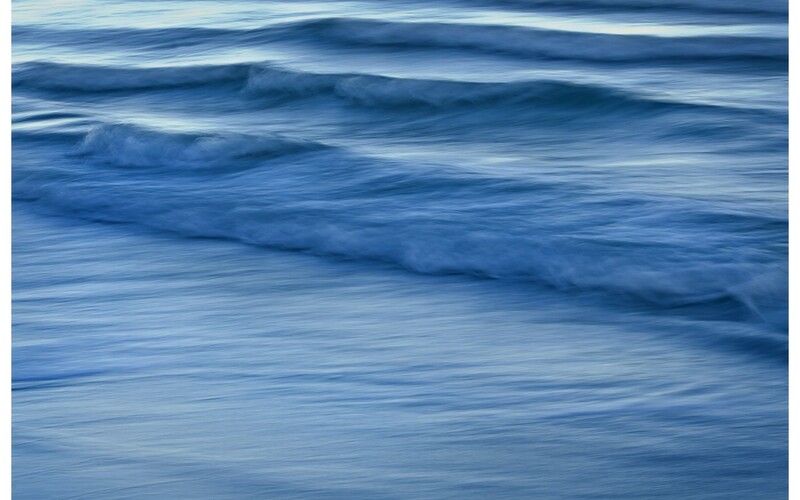 Remedying acute situations first would be of great assistance toward healing any chronic problem. And if you ignore the need to improve your health, then there would potentially be chronic problems in the making(if there aren’t already). The big webs of the hands hold many secrets. People refer to the feet in regard to reflexology, often without mentioning the hands at all. The feet are wonderful, but so are the hands. One theory holds that the hands are more for acute and the feet more for chronic. If this is so, it would always be good to do the hands first. The big web has many different reflexes including digestion, lymphatics, and stomach. Plus, closer to the bones find the upper spine and some special shoulder reflexes. 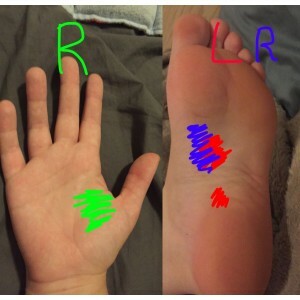 We are created with these important reflex areas especially easily accessible for reflexology. This is ridiculously simple to do, so please help yourself to reflexology. 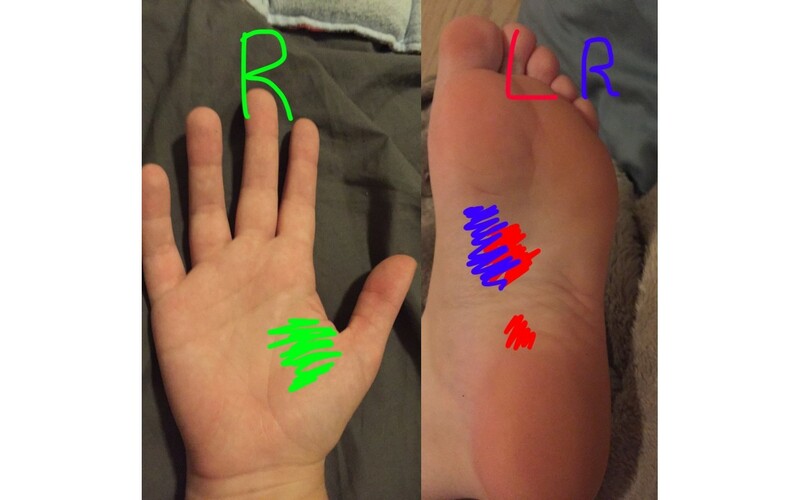 The corresponding reflex in the feet is the web between and the big and second toes. This will likely be painful also when starting reflexology. If the pain is more on the right than the left it may be coordinating with the liver which is often the first organ affected as one feels run down. The web on the left might be coordinating with the heart in addition to digestion, etc. In the student’s picture of the foot the adrenal, pancreas and lumbar reflex areas marked are areas that are more tender right away in the beginning to start the process. These are typical first areas to need reflexology. They coordinate with energy, blood sugar level and lower back. So many people would identify with these common problems. They could relate to acute problems that will be helped immediately with the first introduction of reflexology. It depends on the individual situation. No two cases are identical, but these similarities are common. So work on these reflexes intermittently, feel better, and then go a little deeper to check out which reflexes need help next.